Gathering around a fire is one of those deep-seated joys humanity shares. There's just something magical about staring into the flames under a starry sky. 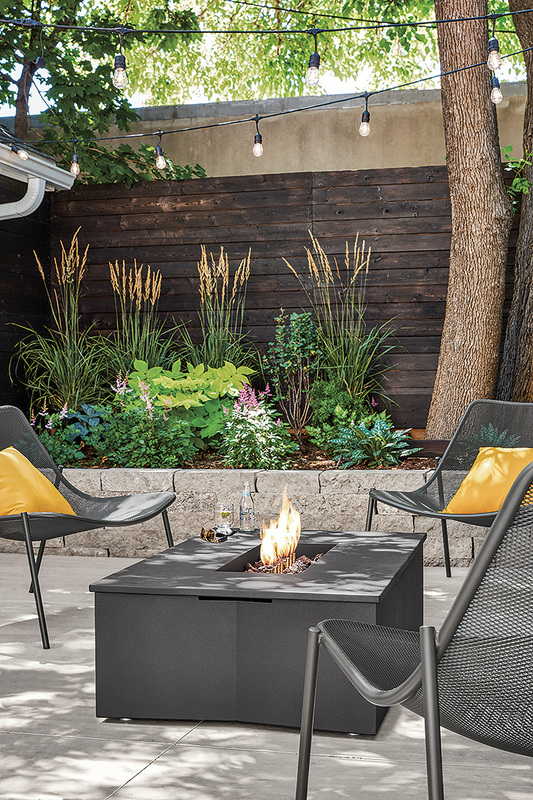 Because it isn't possible (or easy) for everyone to build and tend to a fire, a contemporary gas fireplace for your outdoor space is a great alternative. They're easy to use and can withstand the elements from season to season. So consider investing in a contemporary fireplace like our durable Adara fire table—your friends and family will love gathering together on a cool evening, sharing stories and snacks. Our Adara fire table collection is crafted of high-quality materials in Wisconsin. 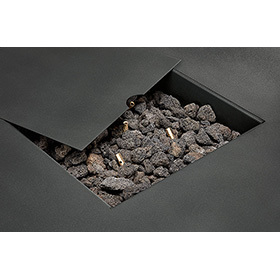 Each fire table includes decorative lava rocks and a weather-resistant canvas cover. Adara is a versatile choice for any outdoor space in need of a contemporary fireplace. 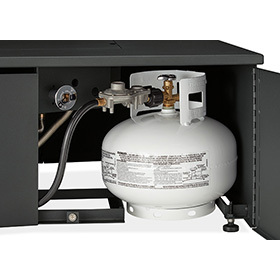 We offer two sizes in a version that connects to a natural gas line or a version that connects to a refillable propane tank. Lighting the Adara fire table is easy. Simply open the side door, turn the valve with the key and light the top—just like a gas stove. It can burn for up to 9 hours and reach 65,000 BTUs for those chilly nights. And it's adjustable, too, just turn the key further for great flame height. As always, our Design Associates can help outfit your outdoor space, no matter the size or budget. Call, email, chat online or stop by a store for free design services today. Photos and video by Room & Board.